Welcome to Harbor Inn Vacation Homes in Bodega Bay, California in the United States. Harbor Inn Vacation Homes offers Vacation Homes with fully equipped kitchens, phones, cable TV, with bedding and towels provided. 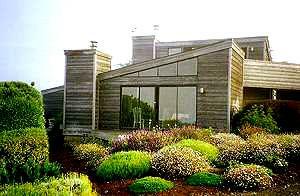 Spyglass, one of the Harbor Inn Vacation Homes in Bodega Bay, California, is a spectacular 3-bedroom, 2 bath, 2,000 square foot custom home built on the Bodega Harbor Golf Course. It provides panoramic views of the ocean and harbor as well as two fire view wood stoves, decks, spa, DVD and washer/dryer. Pelican House provides two suites that can be combined to accommodate 6 people. It is located on the water close to Tides Wharf and provides a lovely yard, decks and a spa. Hummingbird House is a quaint vintage house divided into two suites located on a bluff overlooking the harbor. These two units can be combined to accommodate 10. Harbor House is a charming 2 bedroom, 1 bath house with sweeping views of Bodega Harbor, the bay and Bodega Head and includes a fire view wood stove, spa, deck and DVD. 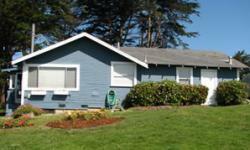 Lastly, Harbor Cottage at Harbor Inn Vacation Homes in Bodega Bay, California, is a cute one room cottage with kitchenette. It has it's own private patio with partial views of Bodega Harbor as well as a DVD, garden and spa.